Hospital is a place where people came to treat their sickness, or just simply consulting about their health with experts. As time goes by, human population increases, thus increasing the needs for more healthcare institutes. There are two options to combat this issue. Either by building more clinics and hospitals, or expand everything that currently available. Russia hosts some of the best hospitals in the world. Some of them have been there for centuries and treated hundreds of thousands of people. These hospitals continue to develop time after time, improving their quality, the number of facilities, as well as their total area. When you visit big cities of Russia, like Moscow or St. Petersburg, there is always a chance for you to catch a sickness. Could be a slight flu, or maybe hypothermia. Because of it, you may need to be taken to hospitals. In case you wonder which hospital provides the best healthcare for you (as a foreigner), some of these hospitals from the 7 biggest hospitals in Russia will be your solutions. This state-owned hospital serves multidisciplinary medical services for the people of the Republic of Karelia. Opened in 1951, this hospital named after its first chief doctor, Vasiliy Aleksandrovich Baranov. Annually, this hospital treated over 21.000 patients and has provided counsels for over 94.000 patients. This hospital possesses advanced technology of health treatment, and their workers are capable to use the most advanced methods of practical medicines. There are 1449 employees currently working in the hospital, including 308 doctors and 642 specialists. These employees are not entirely Russian, some of them are experts from the Republic of Kazakhstan. In case you want to learn more about studying and working as health workers like those Kazakhstanis did, here are some reasons, facts, and tips to prepare yourself for studying medicines in Russia. The Research Institute of Cardiology is a medical complex focused on cardiological and cardiac surgery practices. It is a highly specialized institution where people from the Urals to Sakhalin came here to have their cardiac system checked and treated. Since its founding in June 1980, this institute has maintained a high level of international standards in the diagnosis and treatment of cardiovascular diseases. Today, the Research Institute of Cardiology employs more than 1000 employees capable of treating 430 patients at the same time. Annually, more than 10.000 patients are treated in this institute with proper care and a friendly environment. As a medical complex, this institute provides a cardiology clinic as well as a research institute where students could learn and develop medical technologies and methods to treat cardiovascular illnesses that are very commonly suffered by Russian citizens. If you want to keep your cardiovascular systems healthy, try these healthy staple foods of Russian cuisine. Russian Children’s Clinical Hospital is a state-owned hospital operated since 1985. It is the largest children hospital in Russia and has more than 1000 beds. Located in the center of Moscow, its service reaches even out of the borders of Russia. Annually, this hospital treated more than 18.000 children from all across the country and beyond. The hospital’s treatment and diagnostic potential are proven to be powerful and accurate. It has 30 specialized departments in all areas, as well as 20 paraclinical services and departments. Not only it serves as a medical treatment institution, but this hospital also hosts a comprehensive secondary school, where children who receive a long-term treatment could still study every lesson that they might have missed back in their schools. Since its first opening, Russian Children Clinical Hospital has treated more than 300 thousand children and performed more than 120 operations. This hospital is located in the heart of Moscow. Comprising more than 30 medical areas, this hospital will provide anyone with all kind of health facilities ranging from basic health treatment, health consultation, emergency room, lab tests, and many more. This hospital has some of the best medical treatment in Russia. It has top-notch medical supporting devices, and the doctors are highly qualified so they will give you a strong medical diagnostic assistance. And also, most of them (if not all) knows English very well, so communication will not be problems for foreigners. For its room facilities and pricing, they have their own website in which you can see everything this hospital has to offer to treat your illness and at how much cost. This hospital is one of the most popular hospitals for foreigners. Not only they have high-grade healthcare technology, their specialists are also highly qualified English speakers. In addition to English, there are also German, French, Spanish, and Arabic speakers who present in the ranks of its health workers. This hospital offer numbers of medical services 24/7 carried by experts on their own field. Patients could choose one of them depending on their own needs, from Cardiologists, Gynecologists, Immunologists, Physiotherapists, Dentists, Dermatologists, ENT Specialists, and many more. This hospital’s strategic location making it the best choice not only for foreigners but locals alike. Situated in a quiet neighborhood close to the Garden Ring, this hospital will provide every visitors with soothing environments, calming both body and mind. St. Petersburg City Hospital No. 40 offers some of the best medical services in the world. This hospital constantly improving its technological capability as well as its human resources. Specialists from around the globe work in this hospital, proving excellent care for every patient. This hospital has a long history since its first founding in 1748. Back in those days, the hospital was founded in an armory in the town of Sestroretsk, Saint Petersburg, with merely 50 beds. This hospital has saved many Russian lives during war times, such as the Russian Civil War (from 1917 to 1923), and have been almost completely destroyed during World War 2. In 1960, this hospital began to expand, adding more buildings to provide Soviet citizens with proper healthcare. To this day, this hospital has grown to its massive size with lots of health areas and capable to accommodate more than 1000 patients all at once. This hospital is by far the largest private-owned hospital in Russia. Operating in Novosibirsk since 1996, this hospital has achieved a world-class status so they will only employ the best experts who can work with the most advanced equipment. 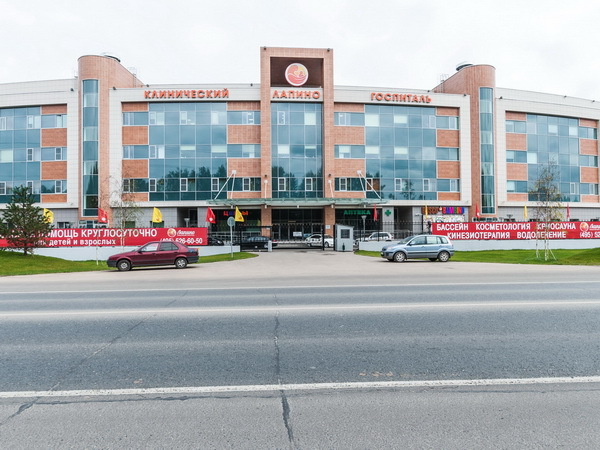 Being a member of the Russian federal medical group, this hospital cooperates with 22 modern medical centers in major cities like Moscow, St. Petersburg, Samara, Yaroslavl, Ufa, and many more. And there they are, 7 biggest hospitals in Russia. Now you know where you should go when you need to go to hospitals while in Russia. These hospitals will take care of just about everyone, Russian citizens or foreigners alike. There is no reason for anyone to be sick and left untreated. As a foreigner, you may be granted access to free medical treatment, but to earn it takes a lot of processes. The easiest way for you to be granted access is by being an international student in Russia. Learn more about the advantages of studying in Russia for international students.